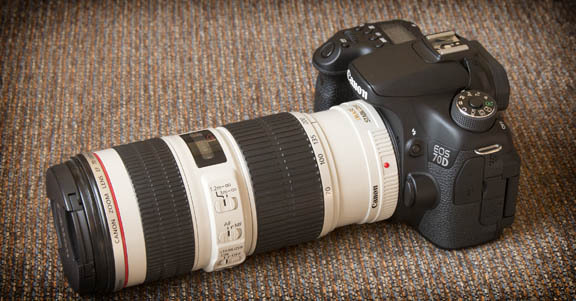 How does the EOS 70D 70-200mm f4 combo work? My experiment surprised me! 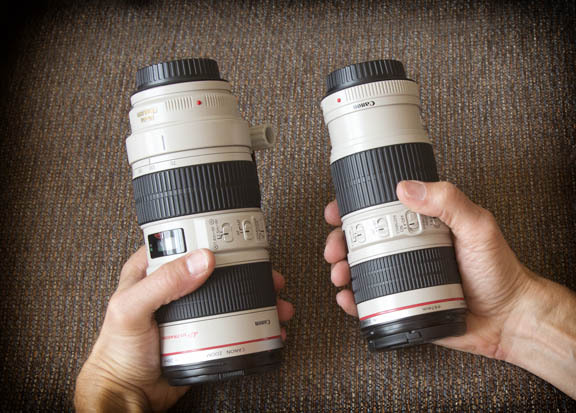 If you are considering buying the Canon 70-200mm f/4, and you own or might purchase a Canon EOS 70D, hear are some thoughts on what I found out when I put these two popular items together. After using a Canon 5D Mark II combined with my 70-200mm f/2.8 for many years I felt enlightened and lightened with this new light tandem. Everyone knows the specs on paper comparing the f/4 to the f/2.8 in terms of length, diameter and weight. The big surprise was on how much lighter it felt in my hands and how easy it was to store in my camera bag. The purpose of Canon Camera Geek is to give you practical information with Canon camera, lens, and accessories. I leave the technical testing to the lens and camera testing professionals. I'd rather play with the equipment and report back to you, the buyer and photographer. It's an easy fit! 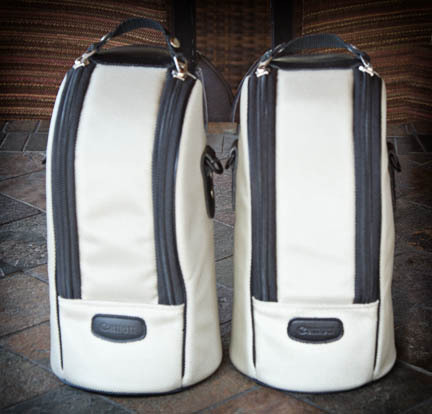 The 70-200 f/4 slides into my belly bag, making it convenient to access when I am on one of my nature walk/photo shoots. This was the only adjustment I had to remember. 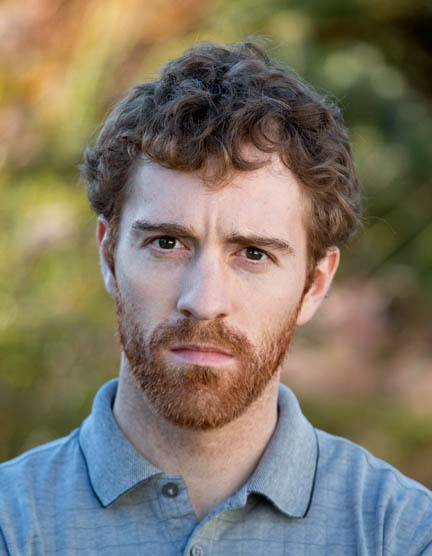 Using the Canon 70-200 f/4 on an APS-C body like the 70D gives you the cropped view of a 112-300mm zoom lens. 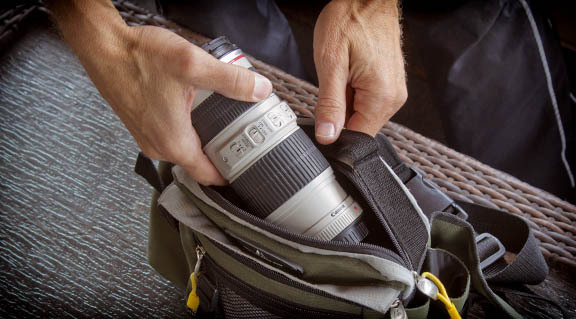 This gives you a great lens for sports and wildlife photography that is light and easy to travel with. I tested a 70-200 on my 70D for shooting a high school soccer game and it handled most of the situations quite well. I've used a 5D Mark III with the f/2.8 for so long I really anticipated not liking the 70D combined with the f/4 version of the 70-200. Live and learn. The 70D 70-200mm f4 combo was a winner. You get all of the benefits of using a Canon L lens on what has become my favorit take anywhere camera, the EOS 70D. Shoot more Canons. Watch less TV. I was surprised that Canon CPS sent me the f/4 lens with the exact same case that came with my f/2.8 lens. 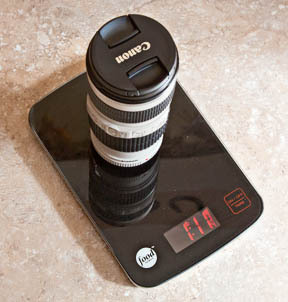 The smaller f/4 lens perched atop my wife's kitchen food scale. 70-200 f/4 - 1.1 lbs. 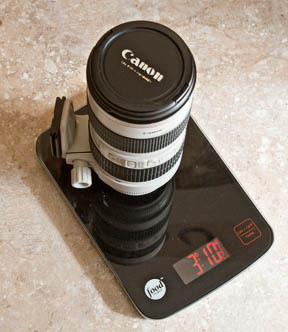 The larger f/2.8 lens with lens collar attached, perched atop my wife's kitchen food scale. 70-200 f/4 - 3.1 lbs.